Gooseneck lighting fixtures are an American staple, thanks to their durability, utility, and stylish appearance. They were once used in industrial settings because they provide a targeted light that makes excellent task lighting. Today, goosenecks are perfect adorning entrances, barns, or walls along commercial or retail spaces for a touch of rustic or retro style. They also make wonderful sign lights, since they easily wrap around the sign or awnings nearby. This is combined with their naturally downward facing trajectory, which allows for a more focused lighting option that easily showcases your business information or logo. Our gooseneck lights are designed with the highest level of quality in mind. They're fashioned from lightweight aluminum, and then powder coated for optimum weather resistance, allowing them to stand up against inclement conditions for longer. They'll also resist corrosion and fading, even when placed in areas with heavy rain or direct sunlight. You'll also find that our fixtures are made with customization in mind. 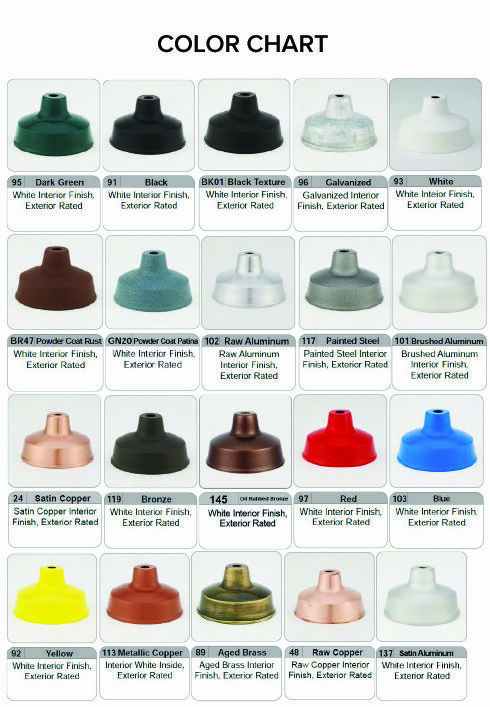 Choose from a vast selection of colors, many of which are offered at no additional charge to you. There are also numerous shade sizes to accommodate varying arm bending configurations. Find the options that are a perfect fit for your sign, or ask about customized options that can be designed and created specially for you. Lighting upgrades are also offered, such as LED and halogen bulbs for energy savings and reduced costs each month.